Manuel Luis Quezon Day is a Philippine holiday celebrated on August 19. It is dedicated to the second president of the Philippines and the first president of the country to have been elected by popular vote. 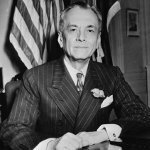 Quezon Day is a special working holiday in the provinces of Quezon and Aurora, named after Manuel Quezon and his wife Aurora Aragon, respectively. Manuel L. Quezon was born on August 19, 1878. After completing secondary school he began to study law, but then left his studies to join the independence movement. He participated in the Philippine—American War and rose to the rank of Major. In 1900, Quezon returned to the university, completed his studies, and passed the bar in 1903. Quezon’s political career launched in 1907, when he was elected to the Philippine Assembly. He became a senator in 1916 and won the country’s first national presidential election in 1935, with 68% of votes. During his first presidential term, Quezon reorganized the government, started a social justice program, initiated agrarian and educational reforms, and lobbied for women’s suffrage. Quezon was re-elected for a new term in 1941 with nearly 82% of the vote. Following the outbreak of the Second World War, he evacuated from the Philippines and established a government in exhile in Washington, D.C. Sadly, Quezon’s declining health sometimes made it hard for him to actively participate in political activities. He died of tuberculosis on August 1, 1944.